BASKETBALL SPOTLIGHT NEWS: AJ Hoggard Selects Archbishop Carroll High School! AJ Hoggard Selects Archbishop Carroll High School! The top point guard in the region and one of the best in the country AJ Hoggard has decided to attend Archbishop John Carroll High School in Wayne, PA. Hoggard has been a long time Basketball Spotlight standout and currently runs the point for Nike Sponsored Team Final. 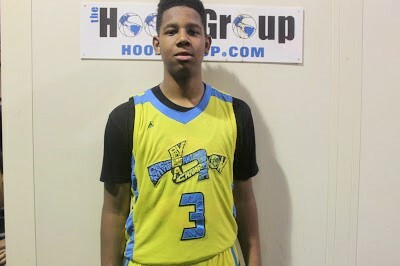 This season he starred in the Basketball Spotlight Tip Off Classic and Clash For The Cup among other events. Hoggard was pursued by several top programs but decided Carroll was the best spot for him. “I chose Archbishop Carroll because the Philadelphia Catholic League has some of the best basketball in the country. I also feel that playing against the best will help elevate my game” said AJ. Atlantic City Showcase Official Mixtape! AC Showcase Highlights: Dezonie Doing His Thing! Toles Plays Above The Rim At The AC Showcase!